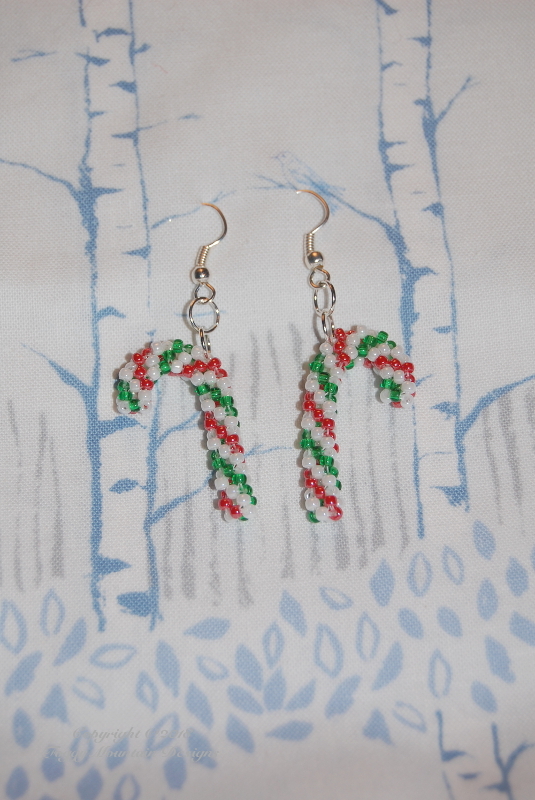 I made candy cane earrings last night. No real pattern, aside from a graph I made for the color placement, it’s just a strip of un-embellished CRAW that I curved on one end. Here’s the graph for the color placement for the red and white earrings. The blank ones are white beads. Remember you’re working CRAW so your starting bead is the bottom right. 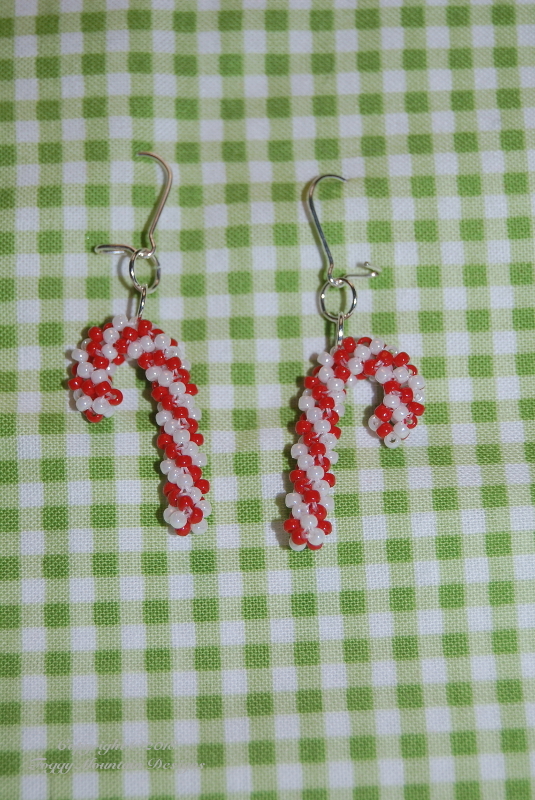 I usually string the bottom beads (white, red, white red) and tie them in a circle for my starting base.